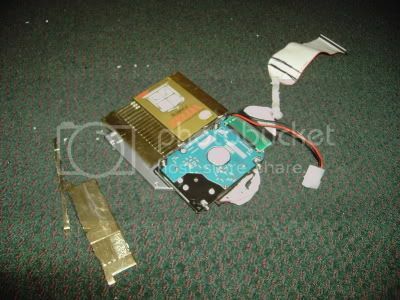 This is my worklog of my Nintendo Entertainment System turned to an PC. This is actually a rebuild of the one I've already posted on here. I'm hoping to clean it up a bit and I am forgoing the gaming idea. It's really hard to make it a gaming PC and not cost effective. Instead this will be a media center and rom machine. That being said this case will have no new holes to the outside. No holes for mobo outputs or anything. I will use existing holes to do a similar/same job as the component in that place did before. Here is the case. It needs to be cleaned up a bit, but that is always bset done near the end, right before final construction so that it doesn't get dirty while modding. Here is the inside. I've already cut out the "T" and epoxied the remaining plastic back on the bottom. It needs to be sanded still, but being at school with no tools I may have to hold that for a while and work on another part. Here is a power supply pic. I got this at mini-box.com. It is an incredible 200 watts in that strip. (They also sell an incredible 120W pico PSU that everyone should seen.) I've already glued it into the case where it says "AC-ADAPTER" and it looks perfect. Here are the modded power and reset buttons. I got these thin and easily solderable buttons here. Here are my DVDs drives. 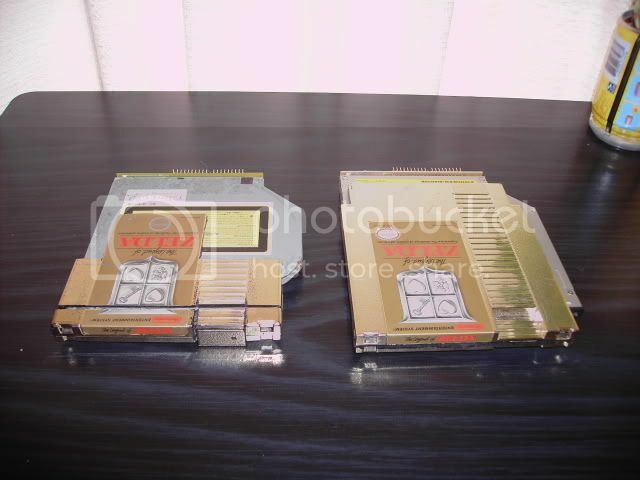 The one on the left is the one I had in my old NES PC and is just a combo drive with no burning capabilities. The one on the right is a Panasonic UJ-845-B. Here are the stats: DVD-RAM 5x, DVD-R 8X, DVD-RW 4X, CD-R 24X, CD-RW 16X. Both are modded with DEAD Zelda carts. I am not a murderer. Here's my real basic Toshiba 60Gb laptop HD. Here's the mobo. 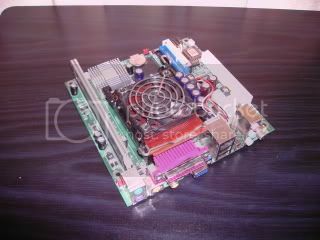 It's a mini-atx form factor, Commel LV-670 board. 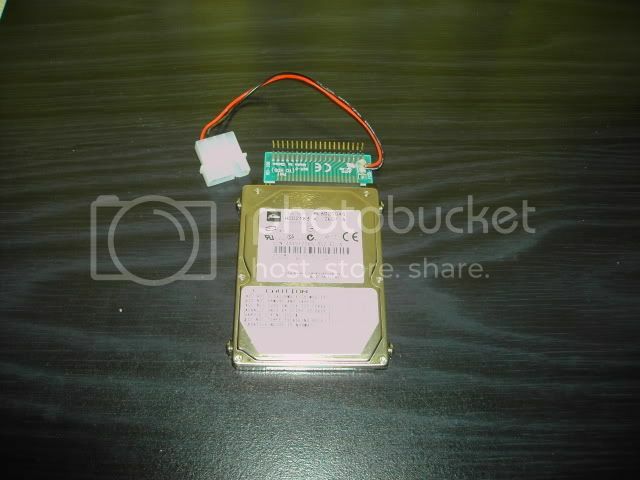 I have a 1.8Ghz P4 in it and a 1Gb stick of cheap gigaram DDR. The cooler is a pretty cool copper cooler for 1U servers. It says that it is rated to 2.8Ghz, but I doubt it. 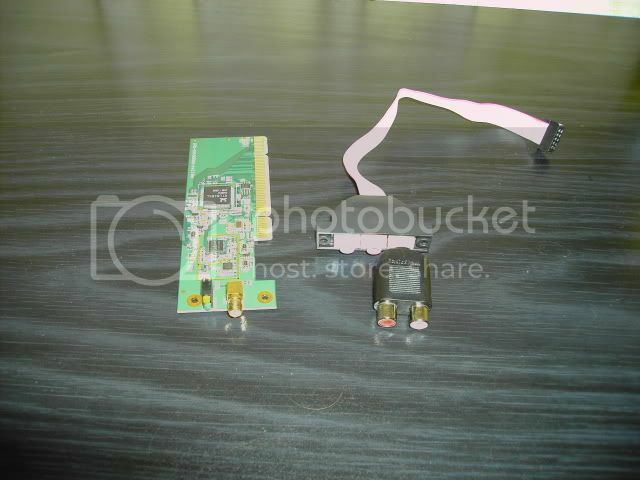 Here is a cheapo 802.11 b/g PCI card and a jumper/header for audio. The header has a stereo A/V converter so it can go out to a TV since that is my goal to have this look stock and function like an old NES. This pic has a USB jumper for the mobo. This jumper can be unplugged from a small PCB that has the female USB part on it. 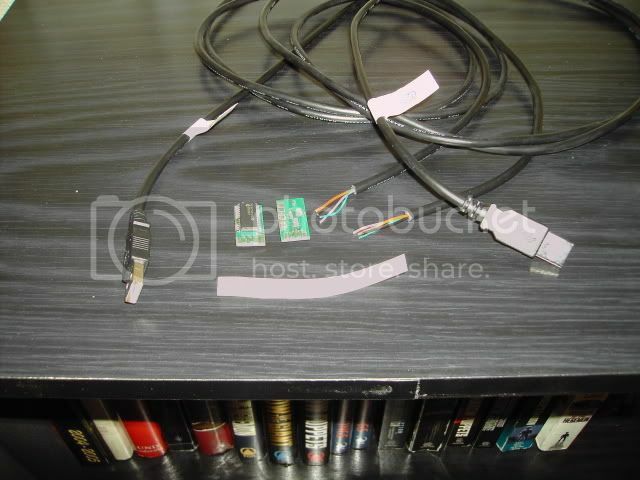 I am hoping to use this USB jumper 'molex' type connector and disconnect it from the PCB and then resoldering/wiring that to the retrokit chips. 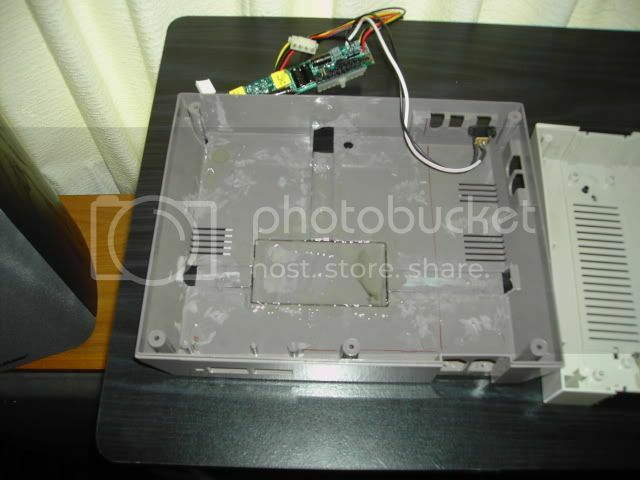 The chips would also be soldered/wired to the 'molex' connector that leads to the NES female controller ports. This way I could just unplug a few cords when I want to work on something inside the PC and have easy access. Last pic has a question attached to it. On the left we see the USB mobo jumper that came with the mobo. In the middle we see an extra jumper that I have and would like to use. 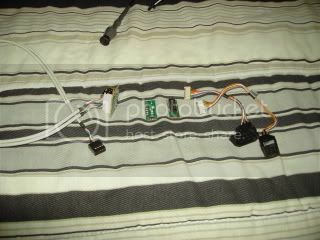 On the right is the USB cable that came with the retrokit for the controllers. The one I want to use has a little bit of plastic guarding it from being plugged in the USB jumper place on the mobo. 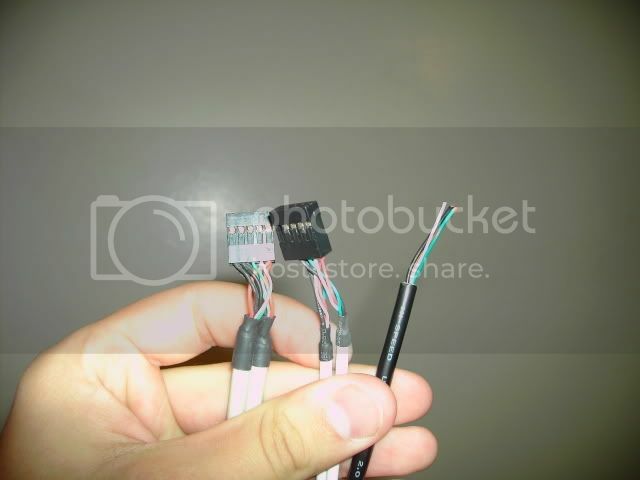 The one on the left has more black wires than the middle one I want to use, but the USB cable that came with the kit has only one black wire. Here's the question: Is it okay if I just pull out the little plastic guard and use the jumper I want anyways for the controller kit? What do the extra black wires do? They are just extra ground, right? I am going to be constructing an inner box for all the parts that can be removed when I want to work/change something on the PC. I have 2mm sheet styrene and it will be perfect. Give me your oppinions and ideas. Last edited by jdbnsn; 02-08-2008 at 11:41 PM. Very nice work so far, D. I love NES conversions, and this is one of the better ones by far. Very professional quality. I love that you are utilizing the holes and ports that are already there instead of adding new ones. I'm going to watch this very closely. I love this sort of work. 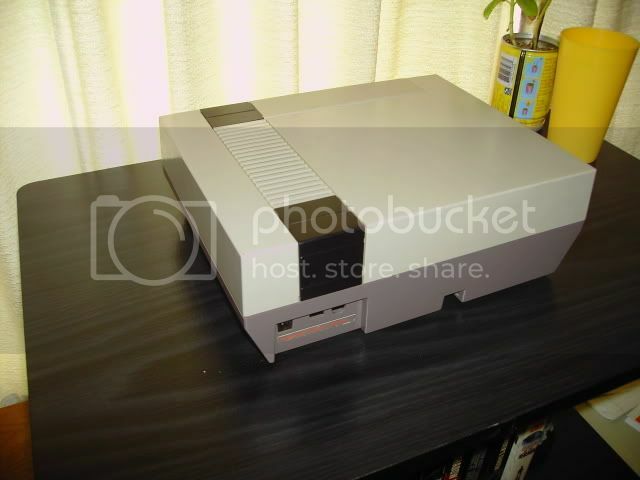 A stock NES mod. You crazy crazy dude. That zelda cartridge work is well done. Too bad too, great game. My opinon: You're nuts and I wanna see this thing finished. 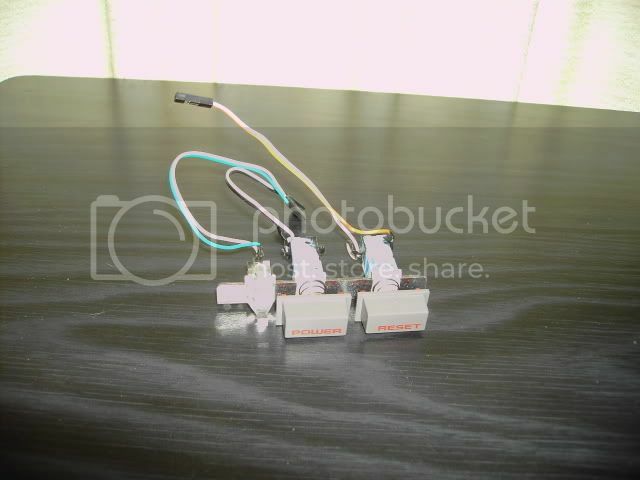 My ideas: How are you going to do the power connector? 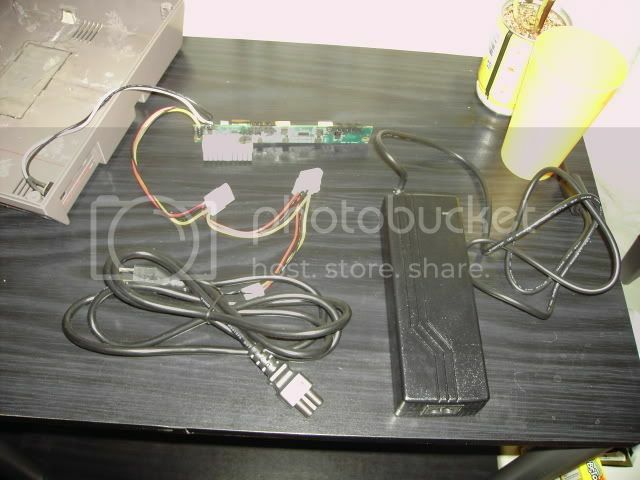 Standard NES power supply? The power has been shown. I'm using an AC-DC setup that will look pretty close to original. I've decided to mod the keyboard and mouse too. I am hoping to do more than just paint. 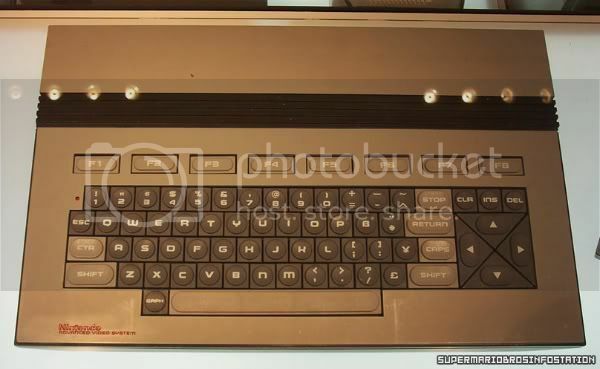 This is the closest thing to a Nintendo keyboard I have ever seen. 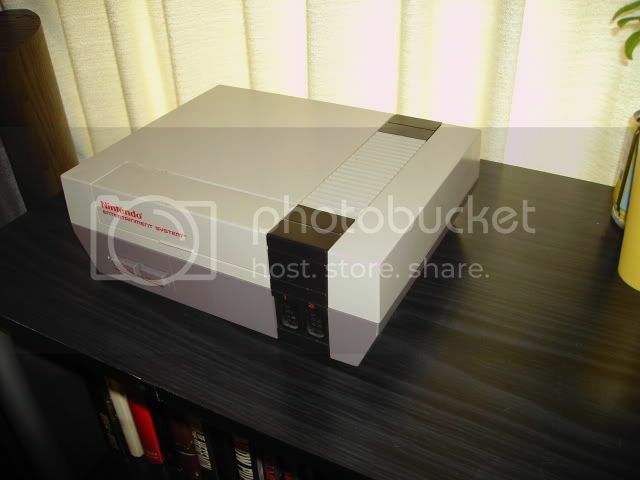 It is a prototype for the US NES. 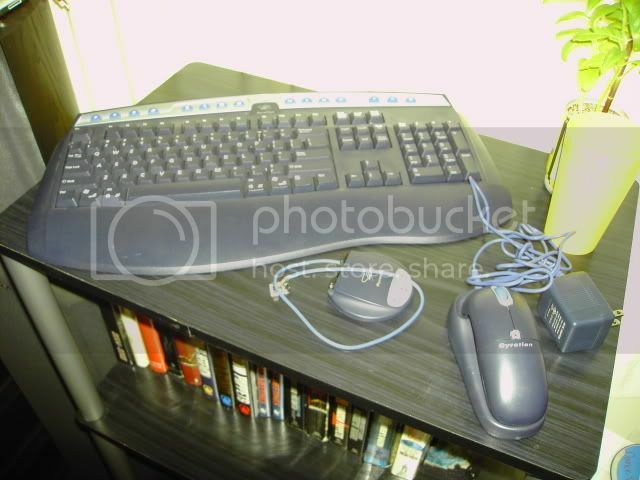 I need to find a PC keyboard with similar keys to mod my current keyboard (seen above). I'm not sure how much I will use from the pic, but a similar final product that is unmistakably Nintendo is what I want. My only other question is about the scroll wheel on my mouse. It is this rubber material and I am fairly certain that it is unpaintable. Has anyone ever dealt with this? Thanks. mmmm I have to ask. Will the power glove by any chance make an apperance in this? As far as the scroll wheel, tech_Daddy had good results dying his by boiling it and then applying vinyl dye, I believe, to the hot wheel before it cooled, similar to the way you color football mouth guards. Check his Boss-FX mod for more details. That keyboard is hotness. Where did you find it? I was in NYC about a month ago. I went to the Nintendo World store. Inside they have a mini-museum of Nintendo items. There was a prototype for an American Famicom there that later became the NES. It's called the Nintendo Advanced Video System and was only seen once to the public in 1984 at CES. It was never seen again until the opening of the Nintendo World store, where it is the only place where you can see one today. Part of me thinks that only one was ever made. Also at the store they had GBA SPs that had been signed by Shigeru Miyamoto for sale for $500. I didn't buy one cuz I am poor, and cuz they were sold out. I'm gonna cry the day he dies though. The only time I really don't feel bad double (or triple in this case) posting is in my own worklog. Here's what I worked on today. It's not a lot but the next parts kinda have me scared (bondo and painting). Here's the mobo in the case, the power, reset, and LED wired up. You can see that the blue IDE and USB jumper are both squished on either side of the power switch. I also have the PSU squeezed in between the ram. It has been painted with liquid electrical tape, but I'm more unsure about heat and just how unprofessional it is to have it there. It just fits so well. Here is the work I've done to the DVD and HD. They will be mounted to the top in this fashion in a sheet styrene mounting bracket I'm building. You can also see that I have rounded part of the cables to help with bends and the limited airflow that will be in there. Here I guess is a teaser. 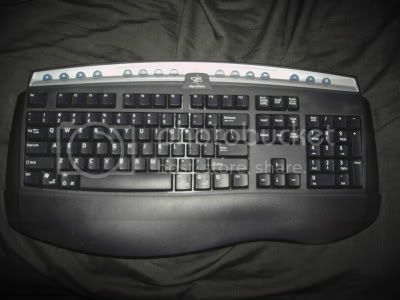 This is a pic of the keyboard again. The fifteen media buttons at the top will (hopefully) be replaced with "A B" buttons from NES contollers. The only problem is that I need to get eight controllers that I can hack up to do this. I am also hoping to add "venting" type stripes like on the Advanced Video System pic I have above.